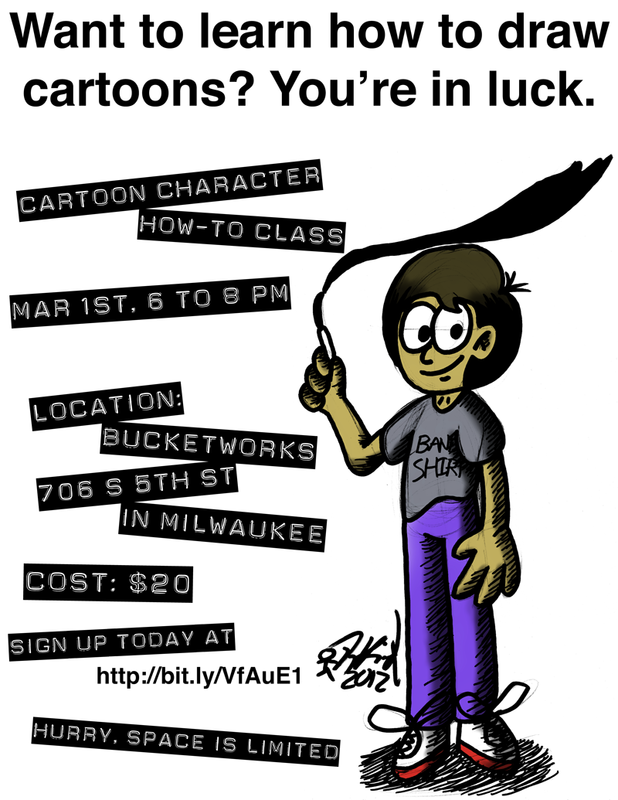 There is only one week left before this, so if you want to sign up, do so here. Also, I’ve put up a new comic page under the portfolio, so if you get the opportunity, check it out. This entry was posted in Portfolio Updates, Upcoming Events and tagged cartoon class, cartoons, comic, comic book, comics, dabble, drannik, drannik and lizzep, event, how-to, illustration, illustrations, lizzep, milwaukee, mischa, new stuff, portfolio, tony kinnard, updates, wisconsin by Tony Kinnard. Bookmark the permalink.